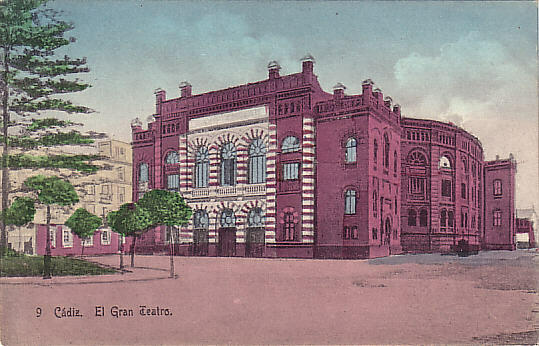 Current theatre built 1884-1905 as "Gran Teatro" by Adolfo Morales de lor Rios and Juan Cabrera de la Torre for the "Sociedad Constructora del Gran Teatro". 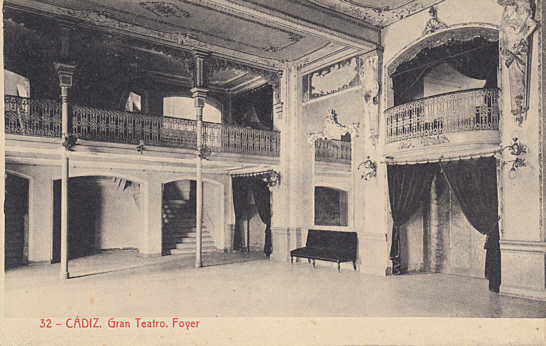 1926 renamed "Gran Teatro Falla" in honour of the Spanish composer, Manuel de Falla (1876-1946). 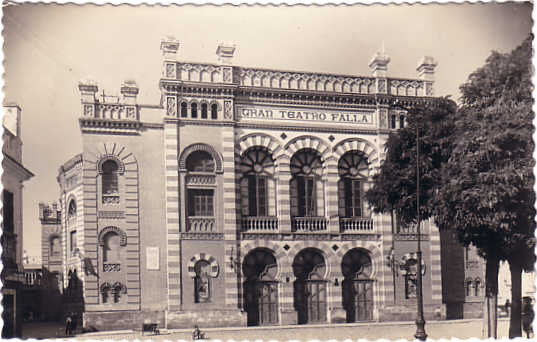 Restorations in the 1980s. 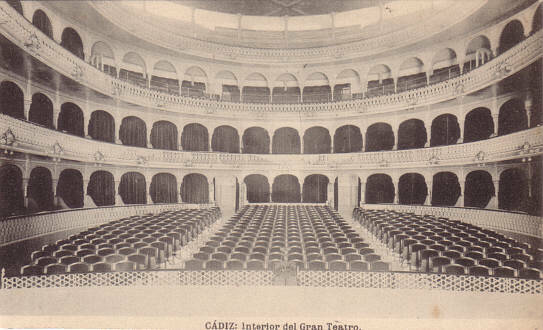 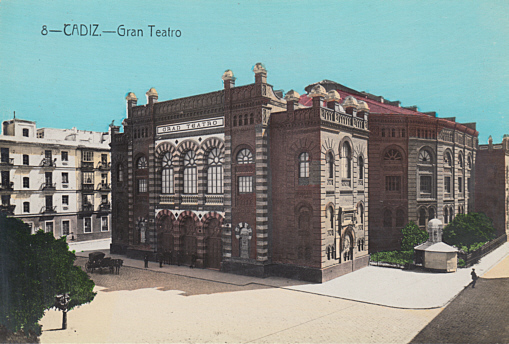 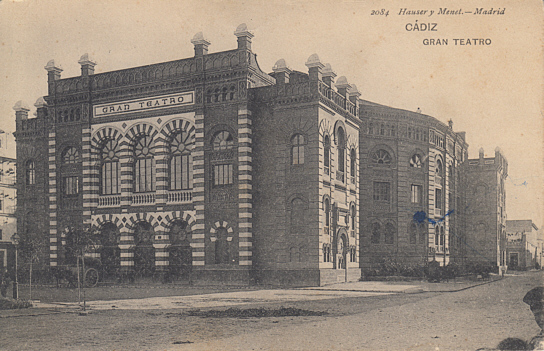 Front Text: "Cádiz, El Gran Teatro"
Front Text: "Cadiz, Gran Teatro"
Front Text: "Cádiz, Gran Teatro"
Front Text: "Cádiz: Interior del Gran Teatro"
Front Text: "Cádiz, Gran Teatro. 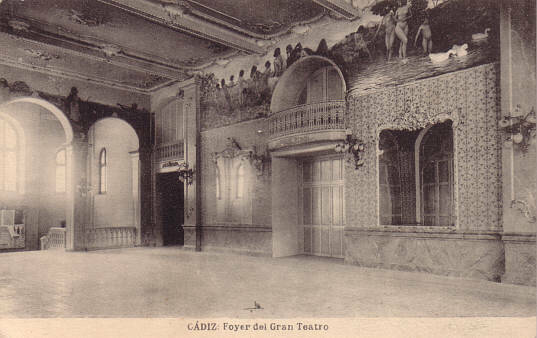 Foyer"
Front Text: "Cádiz: Foyer del Gran Teatro"
Front Text: inscription: "Gran Teatro Falla"
Reverse Text: "Cadiz: Gran Teatro Falla"